She may be one of the world’s most biggest pop stars, but there’s a lot more to Madonna than pop music and provocative attire. The “Material Girl” is a lot more than a music icon, she’s also a philanthropist who has put in over a decade of charity work to aid in the development of third world countries like Malawi. The Like a Prayer singer first travelled to Malawi in 2006 following an invitation by a Malawian businesswomen who was familiar with Madonna’s previous work with Spirituality for Kids, a nonprofit organization. Shortly after her initial visit, the entertainer returned for a second visit during which she adopted her son David. In the subsequent years, the singer has led numerous projects including a documentary, hosted fundraiser events and benefit concerts to support the Malawian children. She adopted a second child, Mercy James in 2009 and by 2013, she helped build 10 schools in rural Malawi through a partnership with buildOn. In 2014, she was appointed Goodwill ambassador for child welfare by the Malawi President, Peter Mutharika. 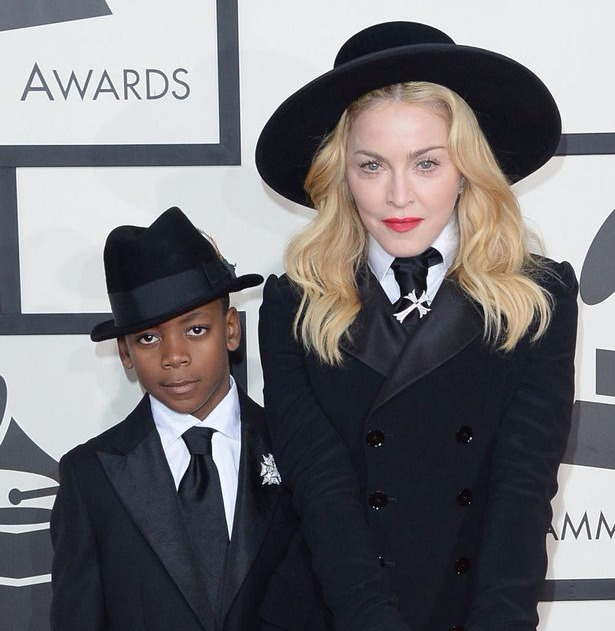 Madonna fulfilling her role and her latest initiative is proof enough. After years of attempting to expand Raising Malawi, the singer finally succeeded and helped open the country’s first pediatric surgery and intensive care unit. Click on the next page to see Madonna and her family at the emotional opening of the medical centre. Madonna’s charity, Raising Malawi, partnered with the Queen Elizabeth Central Hospital in the Malawian city of Blantyre to open a new wing dedicated to pediatric surgery and ICU. Named after her youngest daughter, whom she adopted from Malawi, the Mercy James Center opened its doors on July 11 and Madonna was present to cut the ribbon. The 58-year-old Grammy winner along with her children including the newest additions, twins Esther and Stella, toured the entire facility and watched a children’s choir perform. The singer gave a moving speech about the hard process that led up to the opening of the facility including the legal battle she fought to adopt Mercy. She also confirmed at the ceremony that the medical institute already completed their first surgery and it was a success. Incredible! We’re sure more lives will be saved at the centre in the years to come.